Gotham Comedy Club :: ComedyJuice w/ Crazy Rich Asians Star Ronny Chieng! PLUS: Netflix’s Gary Gulman, Godfrey, Pete Lee, Pat Brown, Chris Millhouse & More! ComedyJuice w/ Crazy Rich Asians Star Ronny Chieng! 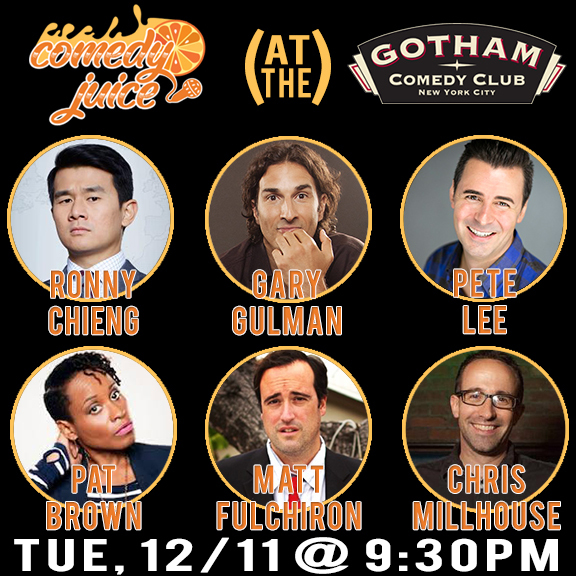 PLUS: Netflix’s Gary Gulman, Godfrey, Pete Lee, Pat Brown, Chris Millhouse & More!